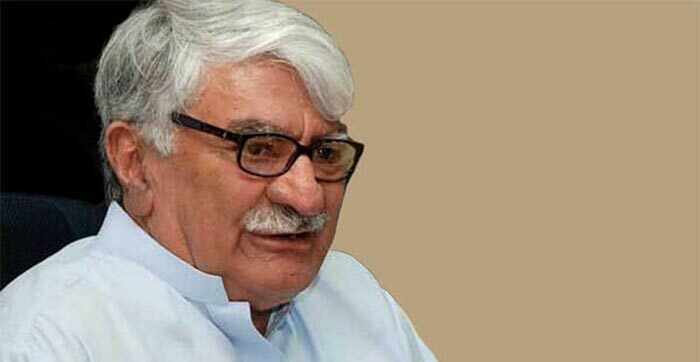 PESHAWAR: Awami National Party (ANP) chief Asfandyar Wali Tuesday said that FATA Rewaj Act is against the human rights and is not acceptable to them. He expressed these views while talking to a delegation of tribeswomen which called on him in Wali Bagh, Charsadda. The founder of the Khur Organisation, Shahida Shah, and president of Tribal Women Network (Qabaili Khur) led the delegation. Those present on the occasion also included ANP Secretary General Mian Iftikhar Hussain, Imran Afridi, Jamila Gilani and Shagufta Malik. The delegation briefed Asfandyar Wali regarding the problems faced by the tribeswomen and said that all the tribesmen and woman were in favour of the merger of FATA with Khyber Pakhtunkhwa (KP). The ANP chief said that his party was in favour of the merger of FATA into KP since the very beginning, and has always given respect to women. He said that being humans, women enjoy equal rights as men do, therefore, ANP has no separate women wing and has given representation to them at all level. He added that the efforts of ANP for mainstreaming women have yielded good results. He assured the delegation that ANP will stand by them and will raise voice for their rights on all available forums.